With so many ways to spread the word about your brand or website, choosing the right channels and strategies for your efforts can be a challenge. All too often, brands rely on too few strategies to get the job done; with both organic and paid marketing options available, brands should utilize all relevant methods. 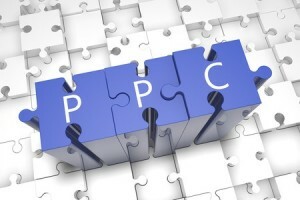 One such strategy for paid marketing is the classic PPC campaign. Easy to setup, relatively affordable and straightforward in its pitch, PPC ads are among the most-used advertisements today. Unfortunately, the abundant use and easy setup have led to many brands making mistakes in their campaigns. Today, we’ll examine which PPC campaign mistakes can – or are – costing you the most money. If you really like wasting money, then bid on every keyword imaginable. Likewise, all too many people decide on a variety of keywords and phrases for their PPC campaigns before doing any research whatsoever. This improper selection of keywords can genuinely haunt brands seeking to improve performance. For example, you may miss better opportunities in long-tail keywords, where competition is less stiff. Additionally, some brands pick the right selection of keywords, but never go back to see if there are better alternatives emerging. Ultimately, pinging your website via PPC campaigns is a dynamic practice: do your homework and always be researching whether new keywords are needed. There is a time and a place for different messages when marketing to different parts of your audience. However, PPC campaigns require a consistent message in order to generate maximum results. All too many brands waste their budgets by varying the design and ad copy too much. You want your ads, images and other elements to be etched in the minds of your audience, but that isn’t possible if every ad looks and feels completely different. Most brands surely think who they’re targeting is who they should be targeting, but many make a variety of mistakes. One of the biggest reasons why PPC campaigns flop – and budgets get wasted – is due to a lack of proper understanding in the area of target audiences. Even if you have determined exactly who is in your target audience, ensuring the right ads are shown to them is easier said than done. For instance, some demographic filters might not provide enough granular focus to ensure that your budgets aren’t being wasted on people who really don’t care. Another big mistake in PPC advertising is failing to understand how each target audience breaks down into smaller groups. For example, one PPC campaign might be better suited for a targeted segment of your broader audience, while another one could effectively be used to target everybody. A combination of market research data, trial and error, and choosing the right PPC channels will help reduce the chances of waste in this situation. Ultimately, deploying PPC campaigns is different from pinging your website with fresh content. While content marketing is an essential component of PPC, understanding that there are different factors at play is crucial to getting the most bang for your buck. By avoiding this common mistakes, you’ll avoid wasting your ad budget and will be able to extract maximum value from each campaign.